First of all, there’s a queue to get in.Then there’s another queue before you’re able to make and take your take away order. Busy, busy, busy. But a lazy day = no rush = eat in. 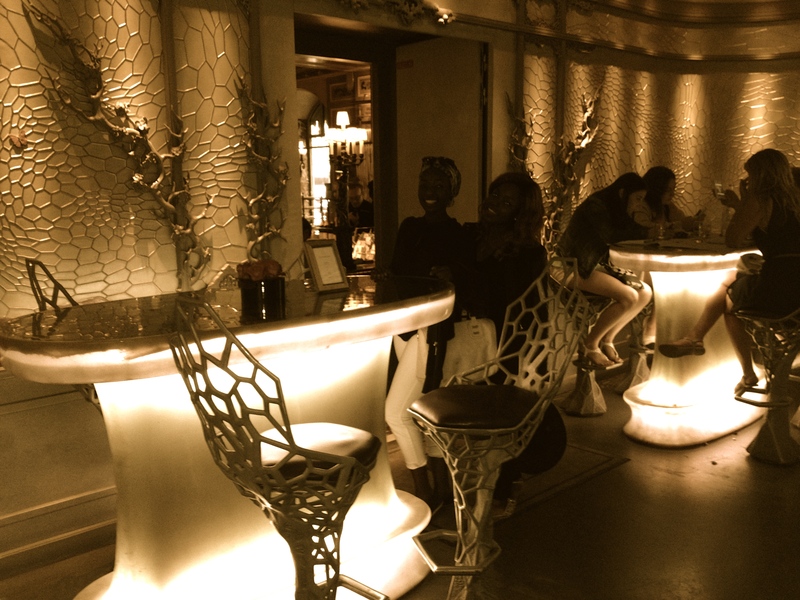 We sat down in the restaurant on the ground floor which is a bar like place. The waiter was friendly which reduced the ‘The French are rude’ stereotype. 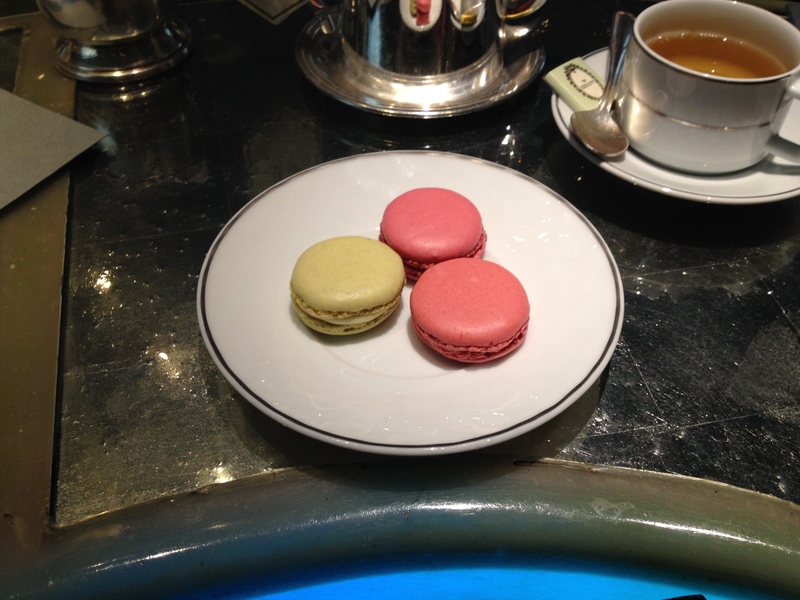 The order took some time though; for macarons, tea and coffee especially as the macarons were already made. I had raspberry, strawberry mint and lime basil macarons. Lime basil as a flavour might sound weird but I’m quite adventurous with food and it felt wrong to order a classic (I’m looking at you vanilla.) flavour. 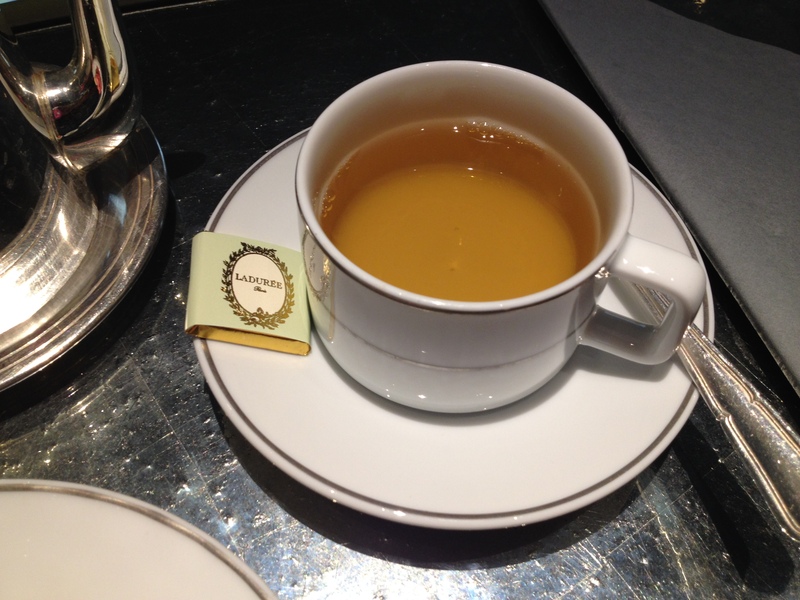 The tea was served with a 70% dark chocolate square which was a very nice touch. The vanilla tea was good and ‘refreshing’ according to Loyin. It smelled really good too and I enjoyed it! I could drink it without sugar but of course it tasted better with sugar. I just might become a tea drinker after all. The Fleur d’Oranger wasn’t a favourite of the macarons. The vanilla macaron, a classic flavour, was good. 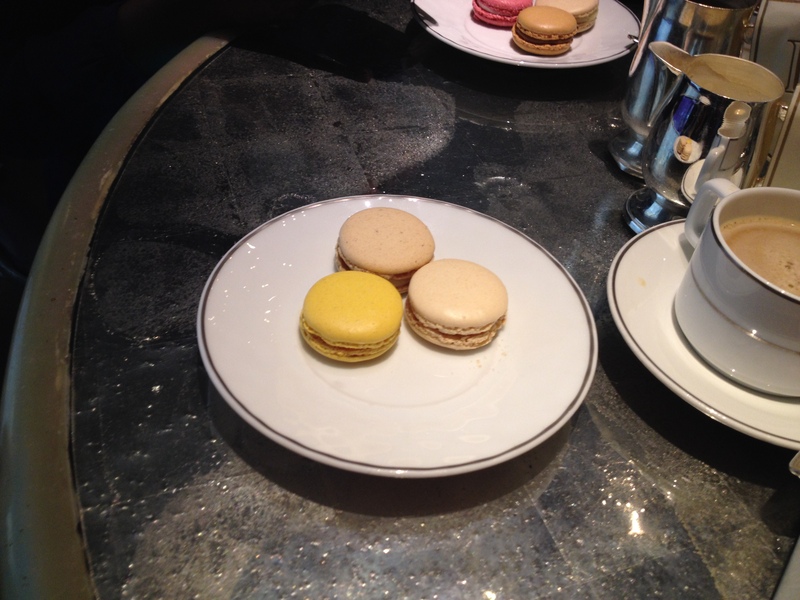 So were the citron and salted caramel macarons. It would have been disappointing if the salted caramel wasn’t delicious, I’m a big fan of caramel! Another favourite was the strawberry mint. Another delicious medley of flavours. It wasn’t too sweet unlike the raspberry one. 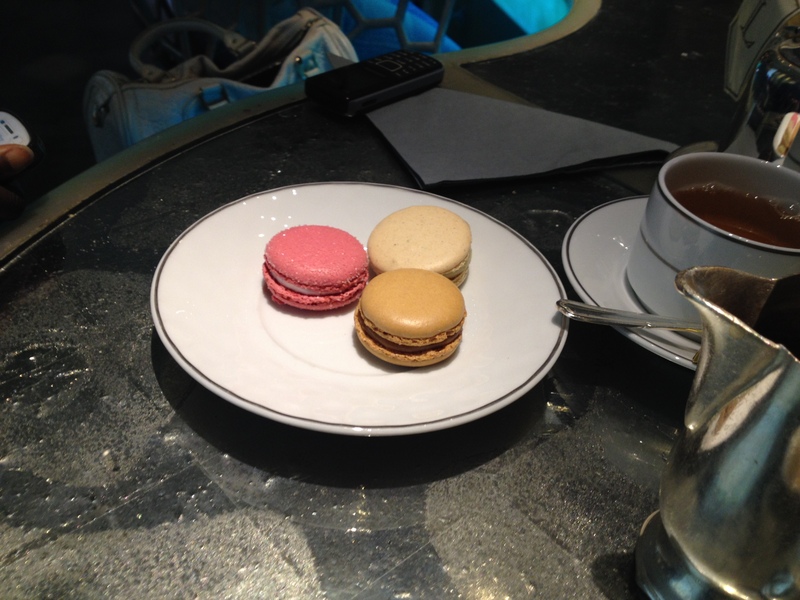 If you ask Maryam though, she would say the vanilla macaron was the best! Finally, the lime basil macaron and its interesting taste. It tasted like fura, a Hausa dessert, according to Maryam. At first bite, the taste didn’t register but the creamy filling took away all the doubt as to what the weird, familiar flavour was. 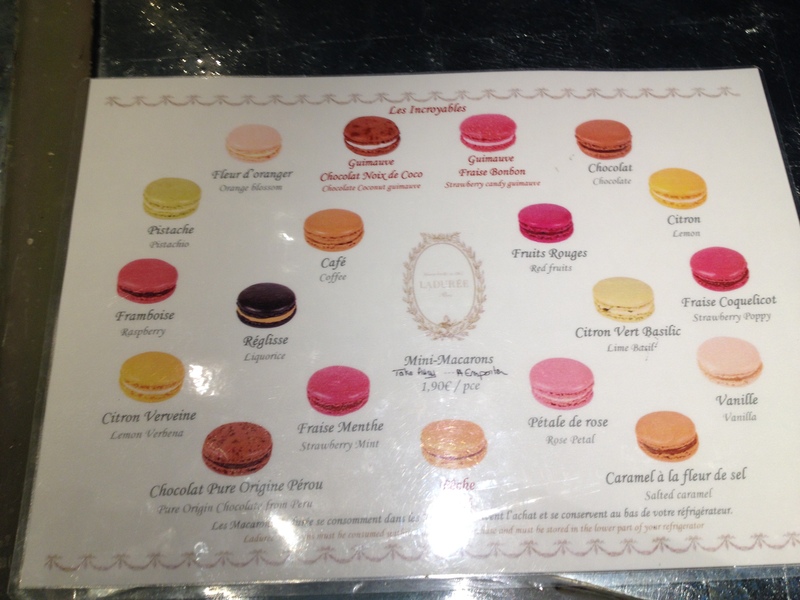 It was a great tasting macaron; one everyone should try. I was disappointed at the use of a laminated menu. Have you bought your broomsticks yet? Ladurée awaits! 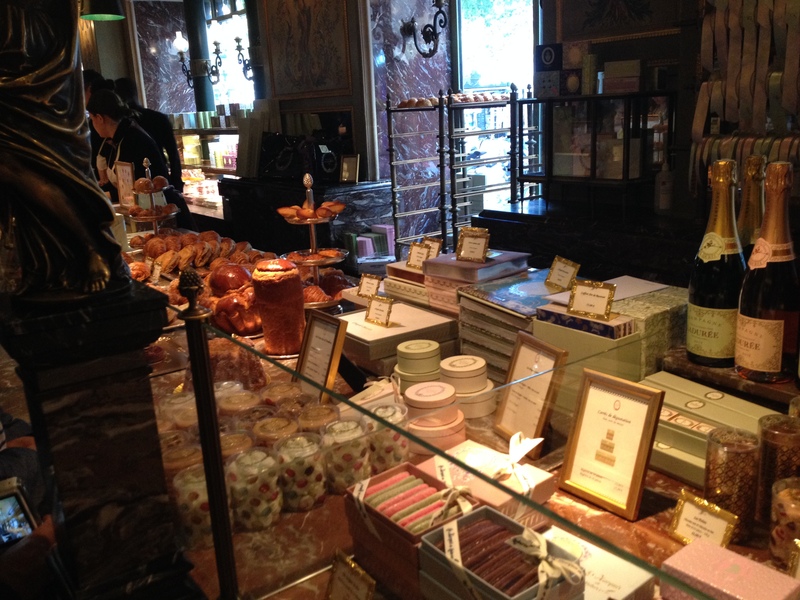 For those who like to partake… macaroons and more. The pictures are just like what I would have taken, had I been able to take decent pictures! Nice! Your pictures are just like what I would have taken, had I been able to take decent pictures! What a memorable experience! Thank you! Your comment brought a smile to face! Thank you. It’s really not easy taking good pictures! I criticize mine all the time, thank God for filters and other editing tools. 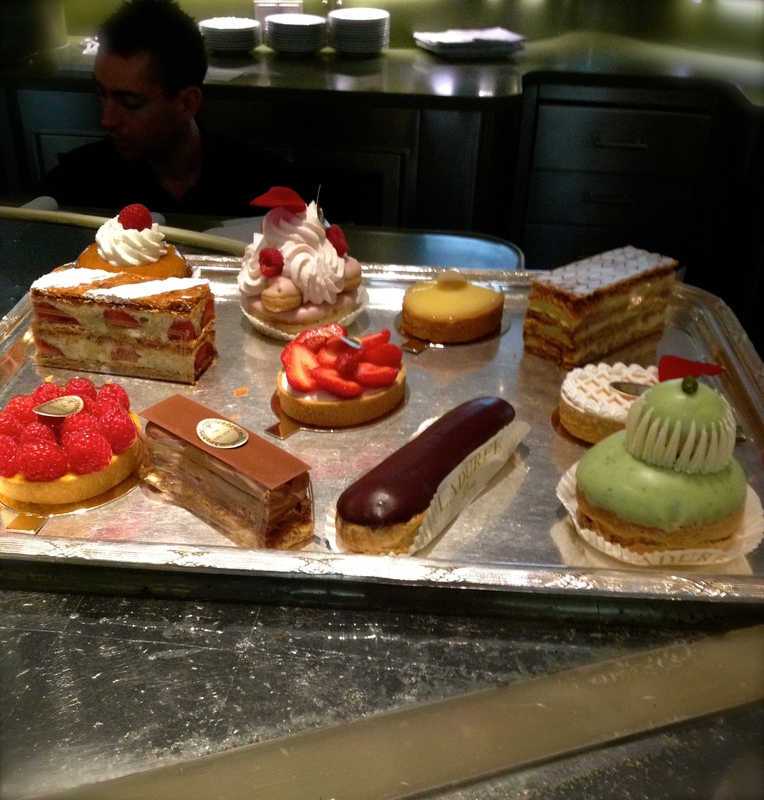 I will use the sentence “There is a selection of pastries… .” to explain what happened to Bosh&Ray. Do the French spell it with one ‘o’? 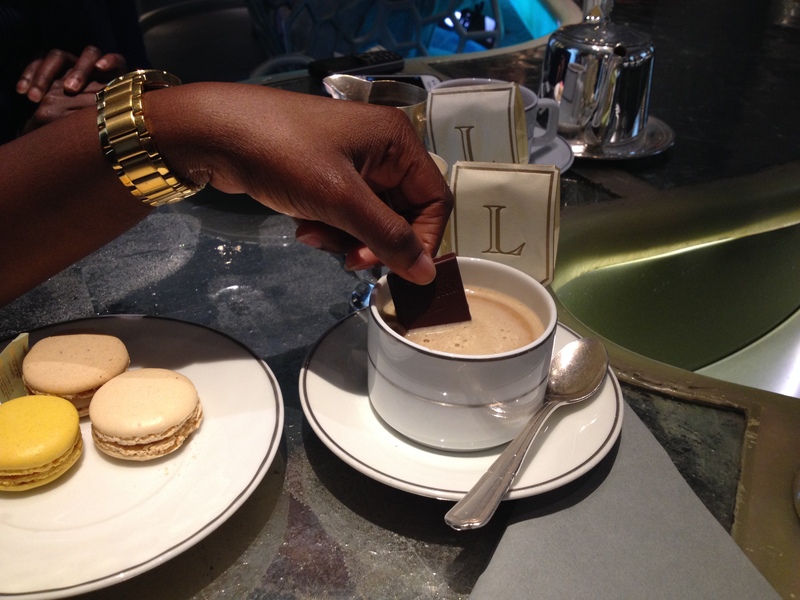 Yes, they spell it with one o. There’s a difference between macarons and macaroons too! Great blog, I enjoyed reading this post. 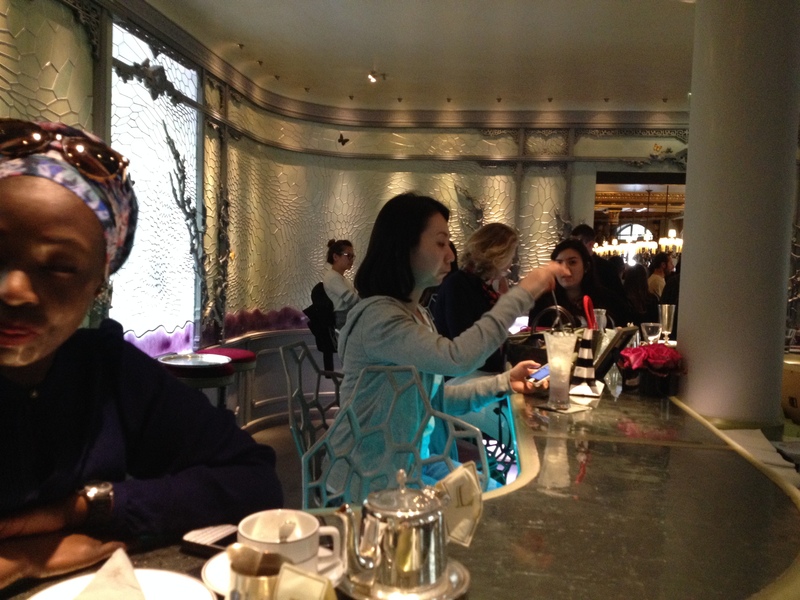 Ladurée looks like an beautiful place. Those are some really mouth watering dishes. I had a great time reading how much fun you guys had. I would love to visit Paris some day. It is such an amazing place. Thank you for sharing this trip with us.